Easy configuration and good help docs. The In-Messenger FAQs feature is really good. You cannot turn off the ‘powered by freshchat’ branding in the chat widget. Freshchat's user experience for customers is good. They've made the right decision to do away with pre-chat forms and instead opt for asking for an email address once a customer has initiated a conversation. Internal users have a really well laid-out view of their conversations in the Inbox. I really like the right-most information panel showing you details about the user and device as well as optional widgets for clearbit and other Freshworks applications. Freshchat offers a generous free plan with umlimited contacts and 10 team members. 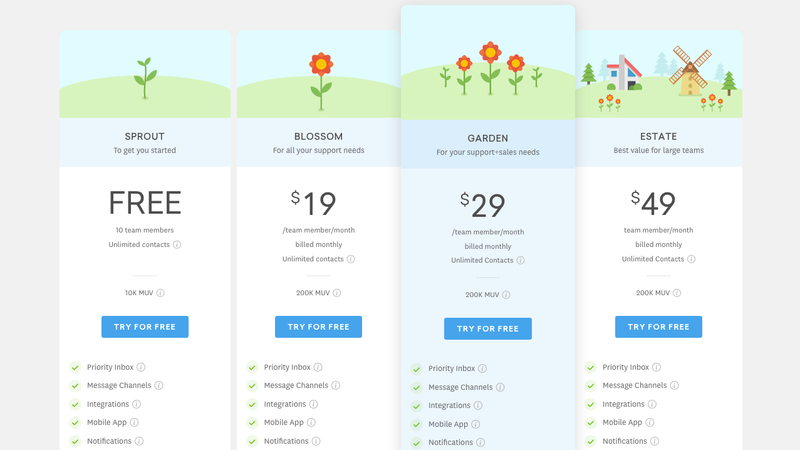 Business running a support operation will probably need to upgrade to the Blossom plan in order to have critial features such as reports, assignemnt rules and office hours. 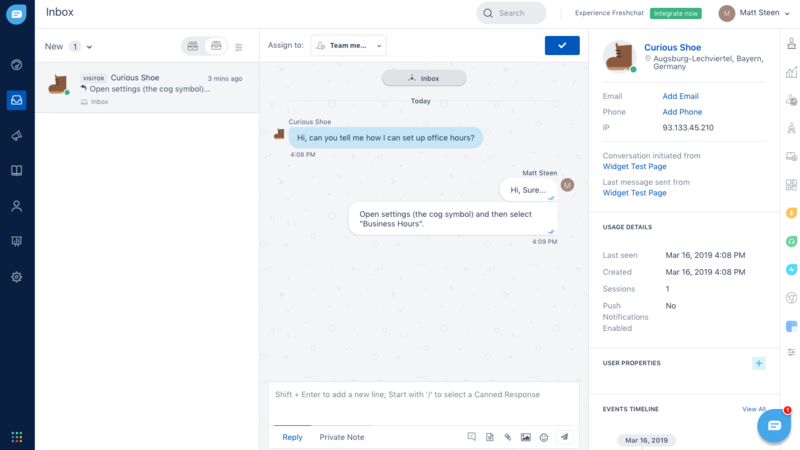 The Groups feature lets you organize your team members into groups like Sales, Support or Product Managers. Conversations can then be assigned to groups. Conversations can be automatically assigned to individual team members or groups based on rules which you can define. This feature requires the Blossom plan or higher. Users can be blocked by entering their IP address. The Freshchat Bot is designed to automated lead capture and is available in the Garden plan or above. Freshchat doesn't provide an email inbox but the integration with Freskdesk provides the same functionality. Freshchat does not provide email support but can be easily integrated with Freshdesk for the same functionality. Multilingual support is provided in the Estate plan. Freshchat offers iOS and Android apps. 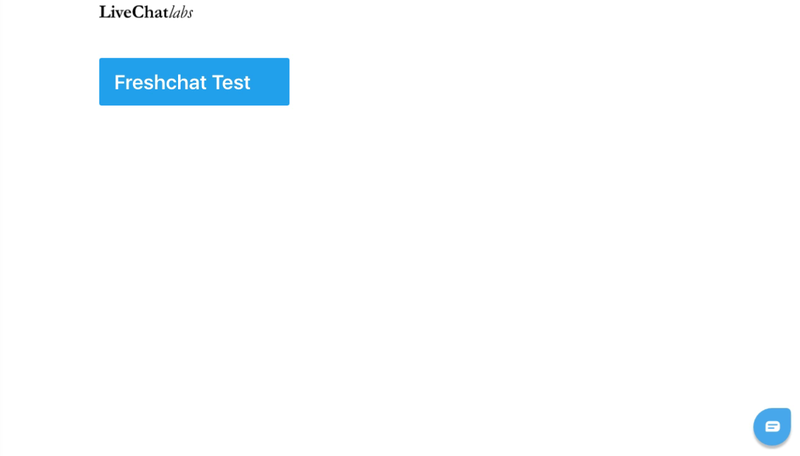 Freshchat has an API, see https://developers.freshchat.com/ for more information.